I showed you a really great cast-on for toe-up socks, but what do you do when you get to the cuff and it’s time for binding off? Lots of folks, myself included, get a little tight-fisted when it comes to their knitting bind off, and it’s a bit demoralizing to knit a beautiful sock that fits you perfectly … that is, it would fit you perfectly if you could get the cuff edge on over your heel! That’s why you’ll learn a stretchy bind-off knitting method called the decrease bind-off—also known as the lace bind-off. Today, I thought I’d show you how to bind off knitting flexible enough for neck edges, sleeve edges, and even sock cuffs. This bind-off is so flexible that many people use it when binding off lace projects, as regular bind-offs, being a tighter than the lacy stuff surrounding them, can distort the edges of the lace. 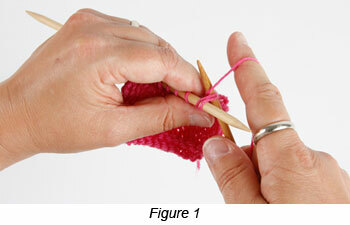 This bind-off is thus often referred to as the lace bind-off, but many people also call it the decrease bind-off. 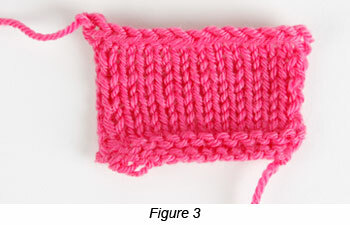 This version gives a bind-off edge that looks just like a standard bind-off, but it is much stretchier. Repeat 1 and 2 until all stitches are bound off. The finished edge of this version looks slightly different but is just as stretchy as the other version. Which to use when? I’d say it’s a matter of personal taste. Slip the new stitch on the right needle back to the left needle. 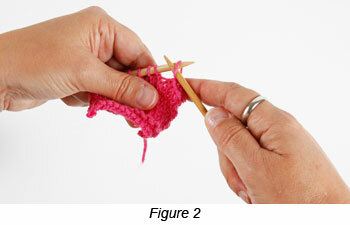 Repeat these two steps until all stitches are bound off. 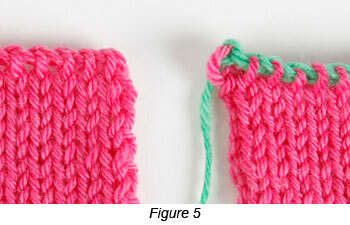 Notice that I show two samples in (Figure 5); the stitches are worked exactly the same way in both, but in the sample on the right, I used bright green yarn for the bind-off row so that you could see the finished effect more clearly. Note that you can also use a variation of this bind-off on the purl side of a garment: Either *P2tog, slip new stitch to left needle; repeat to end–OR *P2tog tbl, slip new stitch to left needle; repeat to end. All right then: Go forth and dive into this stretchy bind-off knitting method—or, if you use the British nomenclature: Cast off! 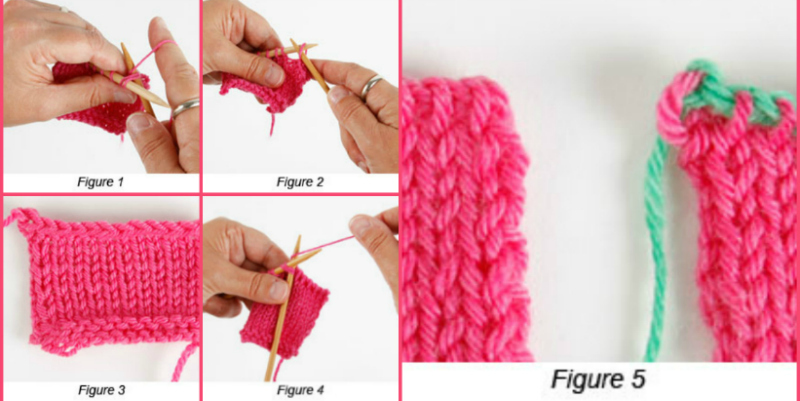 Also, check out this FREE eBook on how to cast-on knitting and bind-off knitting for even more cast-on and bind-off expert tips and projects. Ann Budd teaches her fabulous class on casting on and binding off in 45+ Knitted Cast-Ons and Bind-Offs. With over 45 cast-ons and bind-offs in your repertoire, you’ll be prepared for any project you want to tackle! One of my favorite all-time knitting “helpers” is The Knitter’s Companion, a book filled with step-by-step illustrated instructions on everything from cast-on & bind-off methods and everything knitting in between! 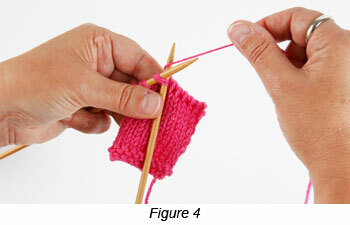 Need a reminder on how to graft a sock toe, or how to sew a shoulder seam without it looking all lumpy-bumpy? Then The Knitter’s Companion is going to be your new best friend. Add the Knitter’s Companion to your library today!